The Brighton team was able to celebrate after claiming a Division 2 state championship in Worcester. It’s hard to find somebody who had a better season than James. The 6-foot-1-inch point guard was Brighton’s key player, leading the team to its first city and state championships. The junior also surpassed the 1,000 career-point mark this year. Bardwell, the Merrimack Valley Conference MVP, led the Scarlet Knights with an average of 22 points and nine rebounds per game this year. The 6-foot-5, 210-pound power forward guided North Andover to the North sectional title game where it lost to Brighton, 64-59. Behind Bell’s average of 24 points and seven assists per game, Wayland (19-5) made it to the Division 3 North sectional finals. The 6-foot-2 guard also scored his 1,000th point this season and was awarded the Dual County League MVP. A repeat All-Scholastic as well as an All-Scholastic football player, Fernandez averaged 22.3 ppg this season in leading the Vikings to the South Sectional final. Fernandez led Wareham to a 74-10 record during his four years and he finished with 1,492 points. Gibson became the first Rockland athlete to receive the Gatorade Player of the Year award, averaging 21.4 points, 15.3 rebounds, and 4.8 blocks per game. He also had eight games with at least 20 points and 20 boards. The South Shore League MVP will attend UMass-Lowell. Bowler, who averaged 18 points and 13 rebounds per game this season, led Hingham to its first Patriot League title. The 6-foot-3-inch, 240-pound center plans on attending Stonehill College to play baseball. Colon averaged 12 ppg and helped lead Beaver Country Day to three EIL championships. He scored more than 1,000 career points and was the EIL MVP this winter. An honor student, he also plays baseball and AAU hoop for BABC. St. John’s Prep, which was eliminated by Andover in the Division 1 North quarterfinals, was led by Costello’s versatility and 15 points per game average. The 6-foot-1 Catholic Conference MVP sparked the Eagles to a 13-game winning streak to start the season. On a Mansfield team with an extremely talented roster, Hill stood out as a dominant presence all season. The Hockomock MVP was Mansfield’s leading scorer and played a crucial role in guiding the Hornets (25-3) to the state finals. Keyes led Bishop Connolly to its first state championship, averaging 18.6 points and 9.2 assists per game. The Mayflower Athletic Conference MVP scored a school-record 509 points this season and finished his three-year career with 1,351 points. Danvers’s 6-foot point guard guided the Falcons (24-2) to their second straight Division 3 state title. Danvers went 18-2 in the regular season and 6-0 in the playoffs. Martin, the Northeastern Conference MVP, has committed to UMass-Lowell to play soccer. Mastascusa earned Cape Ann League player of the year honors after leading the Hornets to their second undefeated regular season (20-0) in school history. The 6-foot-4-inch senior averaged 15 points, 8 rebounds, and 4 blocks per game. Newton North’s sophomore guard had an outstanding season, breaking the school record for 3-pointers in a game (nine) and points in a game (40). Mobley, the Bay State Conference MVP and leading scorer, averaged 19 points and five rebounds per game. Averaging 18.6 points and 6.4 assists per game, Motroni led the Mustangs to their first ISL title and the senior point guard was named ISL MVP. An NEPSAC Class A second-team selection, he also plays AAU ball for the Rhode Island Hawks. Mount finished with 650 career points for the Grey Ghosts. The senior captain averaged 17 points, 9 rebounds, 4 assists this season and earned his second straight DCL MVP award. Mount plans to attend Merrimack College on a football scholarship in the fall. The Tri-Valley League MVP capped his basketball career at Medway with 1,063 points and 795 rebounds. Ozzella averaged 18 points and 12.6 rebounds per game, leading the Mustangs to the Division 3 sectional quarterfinals where they lost to Martha’s Vineyard. Pierrot led an undefeated Melrose team throughout the regular season and in the playoffs, where it lost to Brighton in the Division 2 sectional semifinals. The 6-foot-3 junior forward was this season’s Middlesex League leading scorer and MVP. BTA made it to the semifinals of the NEPSAC Class D tournament led by its senior guard. Yesufu averaged 13 points, 4.8 assists, 5.1 rebounds, and 3 steals per game and was the first player in school history to get a triple double. Coach McVeigh finished his 31st and final season at the helm for North Andover. He ended with a 497-176 record and won 16 league championships with the Scarlet Knights. McVeigh says he was fortunate to coach such talented players in his time. Coach Vaughn, who graduated from Mansfield in 1998, guided the Hornets (25-3) to their sixth consecutive trip to the state tournament and advanced to the Division 2 State championship against Putnam. In nine seasons, Vaughn has a career clip of 138-70 (13-6 postseason). In his 12th year at the helm, Casey led the Hornets to their second undefeated regular season ever, the Cape Ann League (Large) title, and a 22-1 mark overall. Casey, who played basketball for Clark University, has a career record of 149-105. Coach Ruggiero said this year’s team might have been his favorite to coach, and rightfully so. Cohasset (20-5) made it to the Division 4 sectional championship game for the second time in three years, falling just short to Bishop Connolly. Atlantic Coast — Dennis-Yarmouth: Jamarie Hall, Jim Tereau, Spencer Tyler. Falmouth: Kyle Kasperzyk, Andrew McGill. Marshfield: Robbie Acer, Brendan McGuinnes, Alex White. Plymouth North: Jesse Bunting, Jack Murphy, Owen Murphy. Plymouth South: Mike Mele. Sandwich: Joey Downes, Johnny Stanton. Bay State — Braintree: Keyma Cannon, Steve Murphy. Brookline: Obi Obiora, Elijah Rogers. Dedham: Jeremy Clifford. Framingham: Mike Stearns. Milton: AJ Flanagan. Natick: Joe Carty, Alex Hilger. Needham: Conner McLeod. Newton North: Tommy Mobley, Korey Mui. Walpole: Johnny Adams, Ryan Fogarty. Wellesley: Aidan James, Matt Lawrence. Weymouth: David Harrison. Big Three — Brockton: Jaylen Blakely, Marcus Curry. Durfee: Chris Chardon. New Bedford: Rylin Collazo, Josh Pontes, Tyree Weston. Boston City — Boston English: Ernie Chatman, Braxton Gulley-Maybry, Shaun Miller. Brighton: Davion Edwards, Malik James, Nick Simpson. Burke: Jesse Bland, Careem Kirsey, Jason Martinez. Charlestown: Colin Collins, Alijah Robinson, Taris Wilson. CASH: Jayshaun Edward. Dorchester: Ceejae Agnewcarter, Dakari Wurnum. East Boston: Stan Harris, Will March, Pat Santos. Fenway: Justin Phillips, Ricky Smith. Madison Park: Johnny Bodden, Terell Matthews, David Stewart. New Mission: Isshiah Coleman, Juwan Gooding, Shaquan Murray. O’Bryant: Jared Butler, Harry Demosthene, Gabe Vieira. Snowden: Kareen Murrell, Jaquann Smith, Derron Stone. South Boston: Marcus Campbell, Phil Lodge. West Roxbury: Timoy Jarrett, Markus Neale, Deven Robinson. Cape Ann — Amesbury: Patrick Halloran. Georgetown: Pat Bjork. Hamilton-Wenham: Henry Eagar, James Foye. Ipswich: Erik Fyrer. Lynnfield: Pat Kearny, Ed Moore, Conor Sullivan. Manchester Essex: Liam Aldrich, Taylor Ketchum, Max Nesbit. Masconomet: Chris Schleer, Tighe VanLenten. Newburyport: Colton Fontaine, Ian Michaels. North Reading: Dan Fitzgerald, Carl Lipani, John Mastascusa. Pentucket: Calvin Wiles. Rockport: Tucker Meredith. Triton: Zakariya Alaoui, Sam McKenzie. Catholic Central — Archbishop Williams: Ryan Brown. Arlington Catholic: Frantz Pinard, Matt Woods. Austin Prep: Eric Barbas. Bishop Fenwick: Matt Costello, Ben Maxner. Cardinal Spellman: Joe Crane, Rory Donovan, Paul Preziosi, Ryan Roach. Cathedral: Mohammed Braimah, Raheem Sadler. Cristo Rey: Jeffrey Navarro. Lowell Catholic: Mustapha Koroma, Chris Regan. Marian: Ben Crawford. Matignon: Kevin Louis-Jean, Ronnie Slager. Pope John: Giovanni Ferraris. St. Clement: Kevin Foley. St. Joseph’s Prep: James Walsh. St. Mary’s: Tom DeVeau, Matt Manning. Catholic Conference — BC High: Charles Collins, Jameilen Jones, Brian Robinson, Pete Timmons. Catholic Memorial: Gerard Adams, Rich Lopez, Gullien Smith. Malden Catholic: Kyle Sangster. St. John’s Prep: Drexel Costello, Tyler Dooley, Ben Judson, Josh Syska. Xaverian: Nate Woodason. Commonwealth — Chelsea: Oscar Sabilion, Carlos Vasquez. Greater Lowell: Jayson Colon, Gbah Dialup. Minuteman: Darrell Akins, Mike Weideker. Mystic Valley: Matt O’Connor. North Shore: Jordan Mendez, Trace Schaejbe. Northeast: Namir Islamovic. Shawsheen: Joe Spinale. Whittier: Nate Frongillo, Ryan Grant. Dual County — Acton-Boxborough: Joe Euele, Reid Larsen. Bedford: Ben Johnson, Allister Williams. Boston Latin: Alex Guerrier, Fritz Jolivain, Adam Mikula, Edwin Porro. Concord-Carlisle: Zach Dowd, Jamir Henderson, Blaine Taylor. Lincoln-Sudbury: Sam Casey, Ian Kinney. Newton South: Deion Arneaud, Barak Swarttz. Waltham: Bobby Cappadona, Junior Cherry, Jacob Duffrene, Mike Gelineau. Wayland: Jaleel Bell, Harry Leavitt. Westford: Troy Faretra, Eric McCord, Justin Mount. Weston: Justin Tayabji. Eastern Athletic — Bishop Feehan: Samuel Forget, Michael Nelson. Bishop Stang: Andrew Dessert, Chris Mulvey. Coyle & Cassidy: Kyle Simmons. Martha’s Vineyard: Izak Browne, Jack Roberts. Somerset Berkley: Connor Levesque, Mike O’Brien. EIL — Bancroft: P.J. Lidonde. Beaver Country Day: Jherson Colon, Joe Connelly, Maurice Taylor. Concord Academy: Malin Segal. Landmark: Nolan Wilson. Lexington Christian: Adrian Ibeh, Christian Schmidt. Pingree: Johnny Spears. Greater Boston — Cambridge: Fredens Deneus, Marcus Faison, Carl Graham, Dashawn Loney-Bailey. Everett: Gary Clark, Gilly DeSouza, Tyree Gregory, Timmance McKinney. Malden: Anthony Gilardi, Rodney Morton. Medford: Sean Doncaster, James Hawkins. Somerville: John Lubin, Rayoni Matos. Hockomock — Attleboro: Tim Walsh. Canton: Sam Larson. Foxborough: Justin Zupanick. Franklin: Sam Bohmiller, Chris Rodgers. Mansfield: Ryan DeAndrade, Brendan Hill. Milford: David Mercier, Mike Tracy. Oliver Ames: Ryan Carney, Andrew Reardon. Sharon: James Fritzson, Brian Mukasa. Stoughton: Marcus Middleton. Taunton: Fawaz Mass, Anthony Parker. ISL — Belmont Hill: Harry Roberson. Brooks: David Berroa, Jayde Dawson. BB&N: Nick Tarantino. Governor’s Academy: Joseph Kuo. Lawrence Academy: Darrien Myers, Jalen Myrie. Middlesex: Jon Siu, Aaron Swenson. Milton Academy: Alec Brennan, Max Motroni, Nick Pagliuca. Nobles: Robert Martin, John McCarthy. Rivers: Carlin Haymon. Roxbury Latin: Patrick Benzan. St. Mark’s: Aaron Falzon. St. Paul’s: Jared Neves. St. Sebastian’s: Jordan Brydie. MBIL — Boston Trinity: Will Joseph, Zach Petion, Bumi Yesufu. BU Academy: Nate Gruver. Brimmer & May: Stan Barlow, Dietrich Pultinas. Cambridge Weston: Sam Horenstein, Max McGleughlin. Chapel Hill: Sheldon Farnum, Enrique Sanchez-Vazquez. Commonwealth: Tony Gong. Covenant Christian: Darius Boyd, Mardochee Faustin, Sean Howard. Gann Academy: Sam Kann, Zach Weiss. Learning Center: Matthew Velez. Newman Prep: Sean Howard, Horace Liang, Berry Wu. Waldorf: Jideofor Ojukwu. Waring: Henry Balf, Jack Stanton. Mayflower — Avon: Mark Georges, Lamont Johnson. Bishop Connolly: Konrad Bradbury, Tommy Keyes. Blue Hills: Jamal Harris. Bristol Aggie: Dan Cumiskey. Bristol-Plymouth: Matt Cassese. Diman: Stanley Kay. Holbrook: George Duret, Rollsky Edouard, Jerry Many. Old Colony: Jake Pringle. South Shore Voc-Tech: Joe Draicchio. Southeastern: Mike Ward. Tri-County: Andrew Robinson. Upper Cape: Mason Nix. West Bridgewater: Connor Cullinane, Zack Harris, Derek O’Brien. Westport: Ryan Kirby. Merrimack Valley — Andover: Sam Dowden. Central Catholic: Joel Berroa, Nick Cambio, Doug Gemmell, Lucas Hammel, Tyler Nelson. Lowell: Drew Healey, Jonathan Perez. North Andover: Chris Bardwell, Isaiah Nelsen. Middlesex — Arlington: David Shin, Tyler Sullivan. Burlington: Shane Farley. Lexington: Ben Gordon. Melrose: Sam Jean-Gilles, Frantzdy Pierrot, Matt Sherlock. Reading: Drew Belcher, Nate Clarke. Stoneham: Eric Mooney. Wakefield: Bruce Brown, Kendall Hamilton. Watertown: T.J. Hairston. Winchester: Ryan Murphy. Woburn: Tyler Bennett, Chris Claflin. 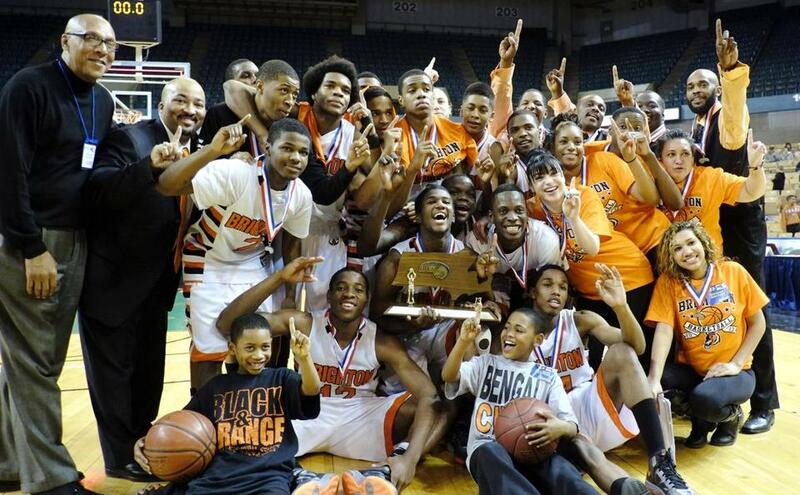 Northeastern — Beverly: John Berchcoff, Nick Cross, Cam Rogers. Danvers: Nicholas Bates, Vincent Clifford, Dan Connors, Eric Martin, Nicholas McKenna. Gloucester: Jason Vizena. Lynn Classical: Jalen Brown, Eraldo Custodio, Phil Rogers. Lynn English: Steve Collins, Fred Hogan, Eric Rosario. Marblehead: Matt Millett. Revere: Doh Boyce, Mike Ciambelli, Gio Gomez. Salem: Marvih Baez, Christian Dunston, Billy Muse. Saugus: Joe Bertrand, Shawn Ripley, Brandon Wladkowski. Swampscott: Steven Bowers, Val Temin, Dan Trentsh. Winthrop: Josh Babb, Ervin DeJesus. Old Colony — Barnstable: Jason Eddy, Nick Peabody. Bridgewater-Raynham: Mike Brunnell, Joe Freiday, Nick Myers. Dartmouth: Cody Borges, Brady Holding, Nick Simonetti. Patriot — Duxbury: Jake Foote. Hanover: Sean McNally. Hingham: Ed Bowler, Pat Kelly, Ricky Sullivan. Middleborough: Alex Allioth. North Quincy: Alex Allioth, Dan Gould, Pat Gould, Marquis McClendon. Pembroke: Brendon Morse. Quincy: Tino Goncalves, Jaquan Harris. Scituate: David Cox, John Foster, Matt McRae, Noma Okundaye. Silver Lake: Tanner Bouchard, Tucker Bouchard, Zach Tonello. Whitman-Hanson: Shane Devlin, Brian Feeney, D’ondre James. South Coast — Bourne: Jack Canterbury. Case: Matt Plante. Dighton-Rehoboth: Josh Ferreira, Ryan Walsh. Greater New Bedford: Trevor Mena, Cory Ponte. Old Rochester: Jeremy Bare. Seekonk: Dan Silva. Wareham: Darien Fernandez, Mason Vasconselos. South Shore — Abington: Brandon Cawley. Carver: Tony Pires. Cohasset: Christian Davis, Shane Haggerty. Hull: Dylan Grey. Mashpee: Cody Hendricks. Monomoy: Steven Gonsalves, Jon Robinson. Rockland: Tyler Gibson, Bryan Tavares. Tri-Valley — Ashland: Shane Pasquantonio. Hopkinton: Chris Moberg. Medway: Matt Ozzella. Norton: James Loring, Dan Rafuse. Westwood: Joe Lally.